For the first time since the award was originated four years ago, Millbrook Vineyard and Winery, the Hudson Valley’s perennial wine flagship, was not the sole Hudson Valley Winery of the Year winner at the 2015 Hudson Valley Wine and Spirits Competition. The co-winner this year, by virtue of multiple medals, was Robibero Family Vineyards. This was just one of many surprises and firsts. 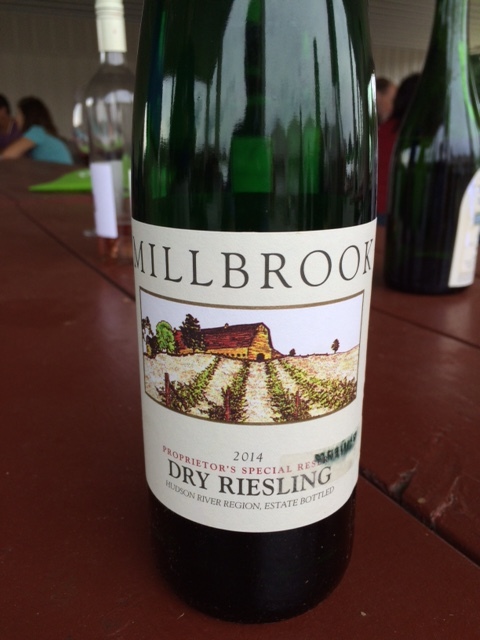 In addition to a record number of entries (125), a Riesling — Millbrook’s 2014 Proprietor’s Special Reserve Dry Riesling — took the Best Overall Hudson Valley Wine (made with HV fruit) for the first time, in only its second vintage. Wines made from local Riesling (with growing acreage) are making strides. 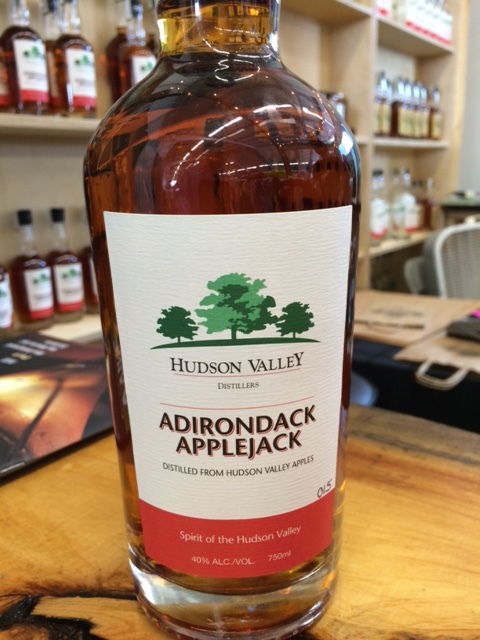 In another first, an apple-based spirit, Hudson Valley Distillers‘ Adirondack Applejack (actually, an apple brandy — think Calvados), debuted as Best Spirit in the award’s fourth year, auguring well for the HV’s growing apple-centric craft beverage scene. It was also a good day for French-American hybrid grapes, which are still very much in production in the climate-challenged Hudson Valley. Bashakill Vineyards 2014 “Ospry”, a Vignoles-based white, won both Best in Show and Best White Wine. Clinton Vineyards’ Seyval Naturel (NV), a bubbly made from the Seyval Blanc hybrid, took Best Sparkling (and not for the first time!). And Best Red went to Victory View Vineyard’s 2013 “Independence”, which was produced from the Marquette grape, a.k.a., one of the “Minnesota” hybrid varieties. Considered by many (including moi) to be the HV’s signature vinifera red grape, Cabernet Franc usually challenges for top honors in the competition. While it did figure in a number of gold medals, the Cab Franc flight (which my panel judged) didn’t yield any double golds (i.e. unanimous gold among panel members), which kept the Cab Franc out of the final rounds. This was unfortunate, as these gold medal winners (Robibero, Millbrook, and Clermont Vineyards) would have been highly competitive vis-a-vis the winning red in the final taste off. C’est la vie. 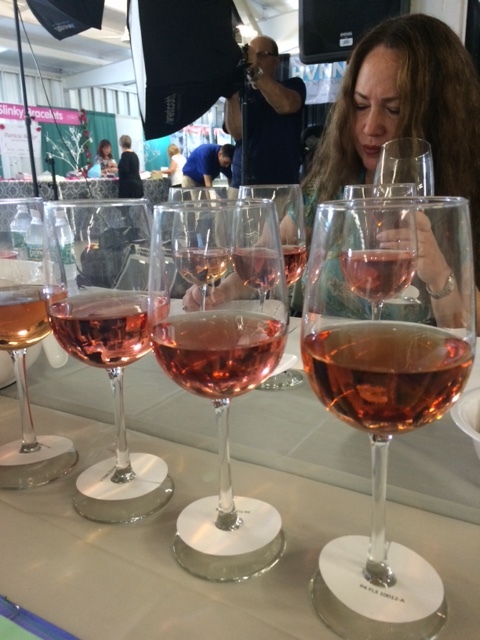 Cabernet Franc was, however, the primary grape (64%) in the Best Rosé — Benmarl’s 2014 Dry Rosé. For the complete results and winning wines, click here. This entry was posted in NY craft beverages, NY wine, Spirits + Cocktails, Wine and tagged 2015 Hudson Valley Wine & Spirits Competition, Bashakill Vineyards, Benmarl Winery, Cabernet Franc, Clermont Vineyards, Clinton Vineyards, French-American hybrids, Hudson Valley Distillers, Hudson Valley Wine, Millbrook Vineyard and Winery, Robibero Family Vineyard, Victory View Vineyards. Bookmark the permalink.